Opting to make marketing play second fiddle in the running of business only slows the business’ ambitions of success. It is a common mistake that many small business owners make. They tend to concrete more on employee performance and customer happiness and pay little attention to marketing. In the world of business, marketing is the fuel that drives brand recognitions and lead generation and ultimately higher sales. And, this applies even to online businesses. 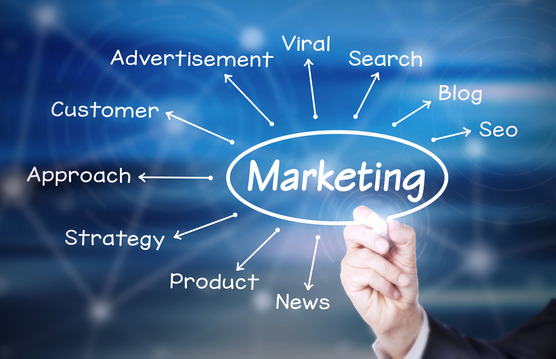 If you plan to give your budding business a platform that results in success in this digital age, then you should consider implementing the following online marketing tips. Always remember that you are not the only party in the online marketing strategy, this is a cutthroat game that takes no sides. Having a non-responsive business website will be the start of your business’ downfall. Make sure that you have a site that offers a flawless user experience; having the user in mind. The products you are selling online should be easy to find and buy. The customers should be able to make inquires and receive prompt replies. Hence, your efforts to ensure a flawless user experience should be within the precepts that the customer (the online user) always come first. When doing business, image is everything. What you let people see about you or your business will determine how they perceive your business. As such, you should a website whose presentation appeal to the millions of different online users. The strategy is to complement the user experience with a design that offers a clean presentation. Have a presentation that creates the impression of a trending business that understand and flows with the ways of the new digital age. Thus, your focus on this subject will be your site’s UI (User Interface). Make it easy to navigates, simple to understand, and alluring to all users. Mobile viewing is an important element in websites that Google has pushed for to ensure a better user experience. In as much as you will strive to ensure that your site has the best UI, design, and presentation, it should be navigable across computer and mobile based devices. Failure to do so might see your business site penalize and relegated to lower rankings. If you think less of this, just do a quick search and discover what your business stands to lose by not have a site that is optimized for mobile viewing. Use your personal email or create an email account of the business, then focus on starting an email-marketing list. Email-marketing is not as complicated as many business owners thing. People and businesses alike use emails and just consider the many emails from unknown sources that find their way into your inbox. How do they know your contact information and where did they get it from? The answer is simple; a sign-up service used to incentivize potential customers to register for when they are running an online promotion. 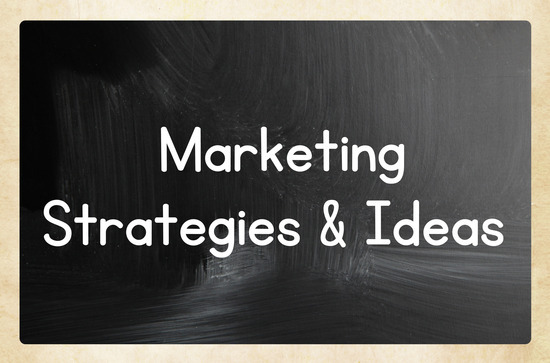 Email-marketing is a free marketing strategy, how fantastic is that! Once you have the email-marketing list, you can use it to start and even drive your online marketing campaign. You automate an emailing system that sends a particular message directly to your target market or audience and they will view the messages via their phones or computers. The strategy is that simple and all you need to do is to keep sending emails that are “a call to action”, something inciting and engaging. They say communication is the bond that keeps relationships going. In the world of business, you need to always keep in touch with your customers and potential clients. You should know how to leverage social media as a marketing tool for your products and services. However, be settle with your approach and avoid shoving your products and services the faces of your target audience. While it is a tool you can use to market your business, the best approach would be using it an avenue to reach out to your customers, to communicate and engage with them on different issues besides just business. It is a strategy that will need you also to take a personal approach, and you will see them respond and give your feedback that you can use to improve your business. If you appreciate that the customer should come first, then you need to be ready to listen to your customers. Do not just opt to use social media as an avenue to push your objectives and not listen to what your target audience has to say in return. It might not be easy to listen to all of them especially those who are nagging and with no reason, but you have to make the effort. Views all your customers as a source of insight on what you need to do to further your marketing objectives. You have different customers, and this means they are a source of diverse perspectives about what you are doing right or wrong with your business. SEO should always be on the frontlines of your marketing campaign. Be abreast with the changes that Google and other major search engines such as Bing make to their algorithm to that you can know what you need to do to better your websites and ensure it remains relevant. In so doing, you will have an easier time developing an SEO strategy that will see your optimization lead to high organic rankings. In keeping with the need to ensure that your SEO stays in the frontlines, what you post will be a vital element that supports your SEO efforts. From your emails and the many texts shared on social media, to what you post on your business website, everything should not only be original but be of high quality and bear relevance. Keep in mind that Google and other search engines are now very keen on and give greater priority to posts that are of an educational or informative nature. Always make your customers, more so those who are loyal to your business, feel like they matter because of doing business with you. Viewing them as sales number will not be to the best interests of your business though still is an element that should be at the back of your mind. Show your customers that you appreciate them by giving them discounted prices, giveaways, or doing promotions. Back to the use of social media, this time with a focus on using visual to market your business; the name to remember is YouTube. It is the largest social platform that user post videos and the second largest search network. The magnitude of its influence can only be expressed by the many videos shared by millions of online users – individuals and organizations; an impressive fit that made Google the role videos play in SEO and factored them as a major feature in their algorithm. With this in mind, picture may still speak a thousand words, but videos have taken the helm of visual marketing. Just come up with good tutorial videos about your business, post them on YouTube and like them to your business site and social media networks. Social media marketing has become a huge thing in online marketing that the completion has become cutthroat. Businesses are using popular social media platforms such as Twitter and Facebook to venture across the internet. However, given the level of competition, it is only possible to go so far if you give the posts a bit of a push. It is a strategy that will need you to spend a few extra dollars; having posts that are specific to your target audience based on elements such as demographics while leveraging some of the analytics and targeting options that the media platforms now offer. Always look at other alternatives that will help boost your online marketing campaign, even those that may need you to spend a few dollars. A good example is using paid search services. Including a PPC strategy may seem a bit complex but it will be worth the effort. Your efforts will include knowing how to leverage CPCs and CTRs to gauge score qualities and conversion rates. If all this becomes too complicated for you, just hire a professional to handle it for you and take your up through the ranks to land on the top page of search results. Reverting to the issue of content and in keeping with the need to have relevant posts, you need to know when to publish your content. Having high-quality content will have little meaning if you fail to know when such content should be posted for it to make the biggest impact. As such, you should have an editorial calendar to schedule your post and ensure that you publish them in a manner that maintains your business website as a lead information hub. The biggest mistake a business owner can make is underestimating your competitors. They say keep your friends close and your enemies even closer. Watch the upcoming competition and have a keener eye on the big players. While you should be taking notes on the various tactics they employ in their marketing strategies, avoid duplicating their strategies. From their paid search measures, email marketing, and social media strategy to their organic search results, just taken note of the various elements that will help you know which adjustments you need to make. If you manage to employ a PPC strategy in your online marketing campaign, then a remarketing strategy will work in a similar manner. It is a strategy that will need you to retarget your site’s cookies with the objective of identifying each visitor. It may seem a bit intrusive because strategy involves the use of a snippet code that you can find in your paid search platform and will then send specific marketing ads to your visitor as well as other sites linked to your website. Google Plus Local and Bing Local are a perfect example of online directors that search engines developed for business owners and individuals to list their enterprises, products, or services. The directories make it easier for users to find your business fast. However avoid listing your business without optimizing the listing. You can optimize it by ensuring that you give a description of your business, its location, and working hours. Not many people know of the importance of Google Analytics; if you are among them, then you should rethink your marketing strategy. Google has a tracking code that you can use in your business website to know where your site’s visitors come from, how long they stayed on the website and which pages they viewed, the most popular pages, and what they purchased. Based on this data, you can make the necessary adjustments. Google Analytics will help you know and analyze the data at least once a week. Take an interest in review sites and forums; reviews and comments shared on different forums can have a massive impact on your online marketing campaign. Bear in mind that what is share is nothing but an opinion, be it good or bad. Take it positively and use it to grow your business. Part of your marketing strategy should include the solicitation of reviews from your target markets. The review can be on social media platforms as well as other sites. And, in as much as the reviews may be good or bad, strive to solicit positive reviews that you can leverage to boost your online marketing campaign. 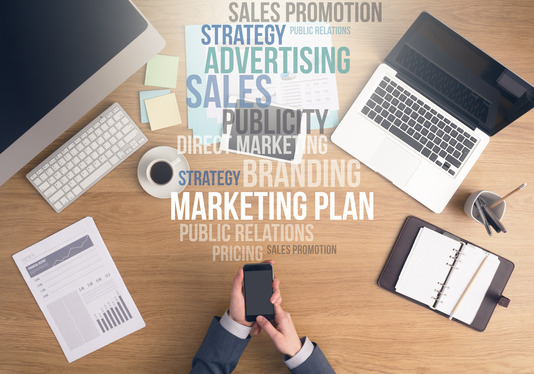 You might have a budding business that promises to be a great franchise, but your target audience might fail to know about it if you lack a good marketing strategy. Just put the above online marketing tips into use and you increase your business’ brand awareness start registering higher sales.